Do you recall the time when Jesus overturned the money-changer’s tables in the Temple? (Mark 11:15-18) That was one stressful situation and it would have taken some serious courage and a large dose of adrenalin to accomplish. It would have been extremely draining, but it had to be done. Here’s my question: why that day? 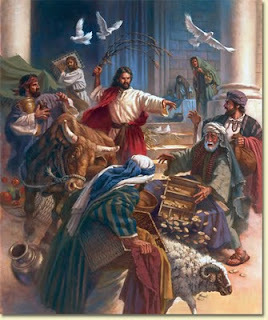 Certainly the day that Jesus overturned the tables was not the first time he saw those tables. So, why didn’t he act sooner? I don’t know for sure, but for some reason, he waited for the right day. Jesus somehow knew how to pace himself for the battles he would face and so he did not take on each battle in his first week of service. As a leader I have to ask myself am I willing and able to look for the Father’s timing to tackle the stressful leadership issues that I face? I’m not advocating procrastination, rather I am advocating common sense pacing and listening for orders from above. These thoughts were taken from my "Unstringing The Bow Story - the long version". To read more click here.